Congratulations to the winners of the Social Media Marketing World Free Ticket Contest 2016. Our two winners were selected from over 280 entries by judges Lou Mongello, Carlos Gil, and Rebekah Radice. Danyelle Felchner (@danyelleparker) wins the grand prize–a ticket to Social Media Marketing World and free hotel stay–for her creative entry comparing the daunting challenges faced by a new social media marketer to the heavy challenges faced at the gym. Check out her winning entry here. Todd Davis (@toddsocial) wins a ticket to Social Media Marketing World for his inspiring entry describing how a change in mindset and belief in himself, despite the naysayers, will help him succeed in social media marketing. See his entry here. Thanks to everyone who entered the Free Ticket Contest! Social Media Examiner has been working hard to bring you our fourth annual physical conference. Social Media Marketing World 2016 is the world’s largest physical social media conference dedicated to helping marketers and business owners master social media marketing. More than 100 of the world’s most respected social media marketing experts will share their strategies with you – and you can meet them face to face. Imagine chatting with Guy Kawasaki, Mari Smith, Michael Hyatt, Chris Brogan, Jay Baer, Amy Porterfield, Mark Schaefer, Joe Pulizzi, Ann Handley, Michael Stelzner, Brian Solis, Cliff Ravenscraft, Darren Rowse, David H. Lawrence XVII, Derral Eaves, Dorie Clark, Ian Cleary, Joel Comm, John Lee Dumas, John Jantsch, Jon Loomer, Kim Garst, Marcus Sheridan, Michael Port, Mitch Joel, Neal Schaffer, Pat Flynn, Peg Fitzpatrick, Robert Rose, Viveka von Rosen – and many, many more. See a complete list of speakers here. Your presenters also include top social media marketers from brands such as IBM, BMC Software, the San Diego Chargers, Adobe, Cisco, HSN, Experian, SAP, Priceline, Cox Business and Dell. These world-class experts will be sharing their in-the-trenches knowledge and experience from a variety of industries and types of businesses. 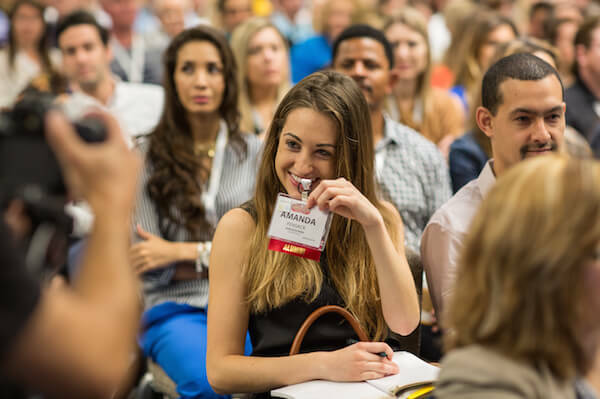 You’ll choose from 100+ pitch-free sessions and workshops presented in 7 social media marketing tracks (you get access to all of them). We’ll cover all of the newest techniques to help you excel on Facebook, LinkedIn, Twitter, Pinterest, Instagram, YouTube, Snapchat, content marketing and beyond. You’ll also discover how to expand into video, visuals, blogging, podcasting and live video and explore the tools you’ll need to dive right in. Our all-new workshops will help you gain hands-on skills and practical knowledge in marketing fundamentals like copywriting, presenting and graphic design. 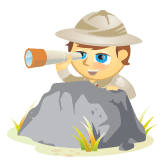 You’ll walk away with skills that will immediately make you a better marketer! One of the best parts of Social Media Marketing World is the opportunity to network with 3,000 fellow marketers. 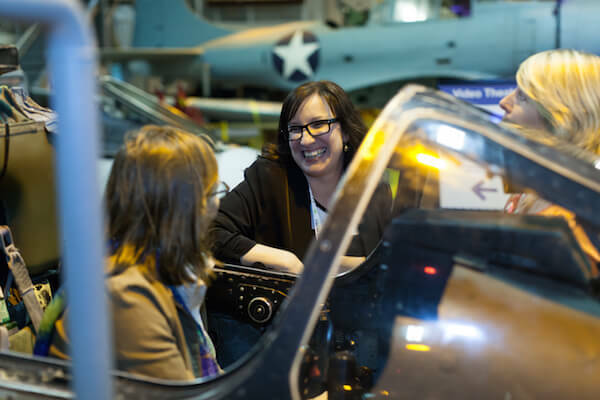 We’ve built networking right into the schedule, with dedicated networking times after lunches and keynote sessions, an enormous Networking Plaza where you can connect with experts and peers between sessions, networking walks and runs, and two networking parties including the Opening Night Networking Party aboard the USS Midway Aircraft Carrier. We expect to sell out before the event starts on April 17, 2016. People attending represent large and small companies just like yours, and some attendees are flying in from places like Australia, Brazil, the Netherlands, United Arab Emirates, India, Venezuela, Egypt, Japan, New Zealand, Ireland, Nigeria, Jamaica, Poland, Canada and the United Kingdom. 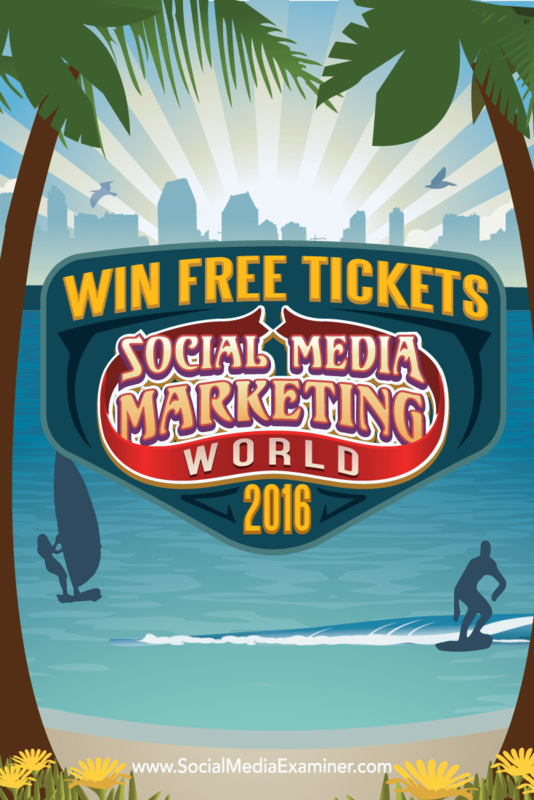 Win Free tickets to Social Media Marketing World 2016. 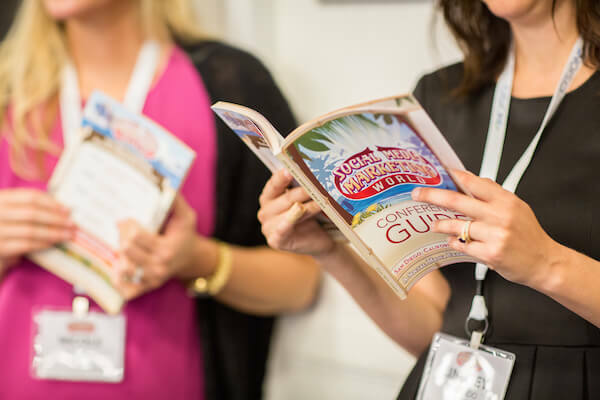 We’re giving away two free tickets to the conference (retail value $1,497), plus the opportunity to be promoted to more than 430,000 of your peers! Our judges will select two winners. The grand prize winner will be awarded a free ticket to Social Media Marketing World 2016, two free nights hotel stay, PLUS a mention in the Social Media Examiner newsletter (430,000+ subscribers)! The second-place winner will be awarded a free ticket to Social Media Marketing World 2016 and a mention in the Social Media Examiner newsletter. The judges – Lou Mongello (host/producer, WDWRadio), Rebekah Radice (founder, RadiantLA and CMO, PostPlanner) and Carlos Gil (global head of social media, BMC Software) – will select the winning entries. Their decisions are subjective and final. The entry deadline is Friday, February 12, 2016 and the winners will be announced shortly thereafter. 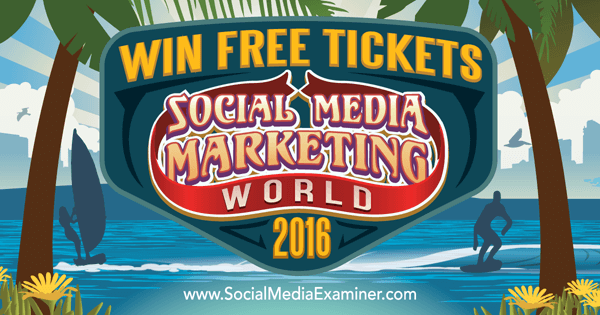 Enter to win your free tickets to Social Media Marketing World 2016. Marketing Manager for Social Media Examiner, Jennifer Ballard has fun planning and promoting events like Social Media Marketing World and learning new things about online marketing every day.